const char * WndClassName = "GMainWnd"
Definition at line 81 of file txtscale.cpp. Definition at line 30 of file txtscale.cpp. Definition at line 24 of file txtscale.cpp. Referenced by MainWndProc(), and WinMain(). Definition at line 76 of file txtscale.cpp. Definition at line 77 of file txtscale.cpp. 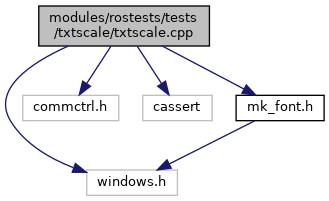 Definition at line 79 of file txtscale.cpp. Referenced by CallbackEntry(), CallbackExtra(), CBPaintText(), CBUpdateEdit(), CBUpdateLBox(), COMBO_SelectString(), CreateDragImage(), GetTextboxText(), MainWndProc(), ME_GetTextEx(), ME_StreamInText(), paint_text(), pointer_default(), TreeListDraw(), TreeListEditLabel(), TreeListEndLabelEdit(), TreeListInsertItem(), TreeListSortItems(), TreeListStartAutoEdit(), TreeListStartNotifyEdit(), UpdateToolTip(), UserpShowInformationBalloon(), WriteConsoleOutputCharacterA(), and WriteConsoleOutputCharacterW(). Definition at line 78 of file txtscale.cpp. const char* WndClassName = "GMainWnd"
Definition at line 25 of file txtscale.cpp.